Another Emma Inglis century - her third of the season - has guided Prahran to a victory over Carlton-Brunswick and secured top spot on the ladder for the True Blues. 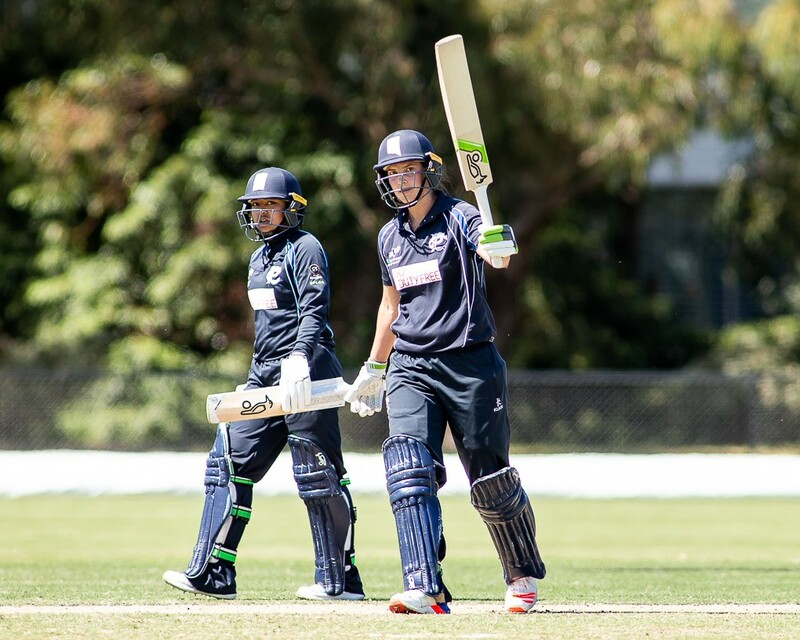 A fixture in the Victorian Women's side since 2005-06, Inglis responded in the best possible way to her axing with a brilliant 112, scored from 108 balls with 10 fours and 3 sixes at the AG Gillon Oval. Carlton-Brunswick were always behind in the chase, but Nicole Magnuson (39), Chloe McKenzie (36*) and 50 extras kept them in touch, eventually falling 13 runs short of victory. Ringwood had to wait until last week to register its first WP1 win and today scored its second. The Rams, defending 6/214 (Leah Paul 58 Tess Flintoff 57), restricted Dandenong to 183 in reply. Box Hill (8/164) held off Essendon Maribyrnong Park (9/152) in a tight game at JT Gray Reserve. Rebecca Carter (49 & 3/33) recorded a fine individual performance for the Mustangs. Nat Schilov (44 & 3/27) was also an all-round star for EMP. Plenty Valley kept itself in the finals race with a 21-run win over Melbourne at Yarrambat. Ladder: Prah 41 Box Hill 30 Melb 28 Plenty Valley 21 Dand 20 Ess Mar Pk 18 Carl-Bruns 16 Ring 11. Ladder: Melb 32 Plenty Valley 31 Prah 29 Box Hill 27 Ess Mar Pk 24 Ring 11 Dand 11 Carl-Bruns 4.